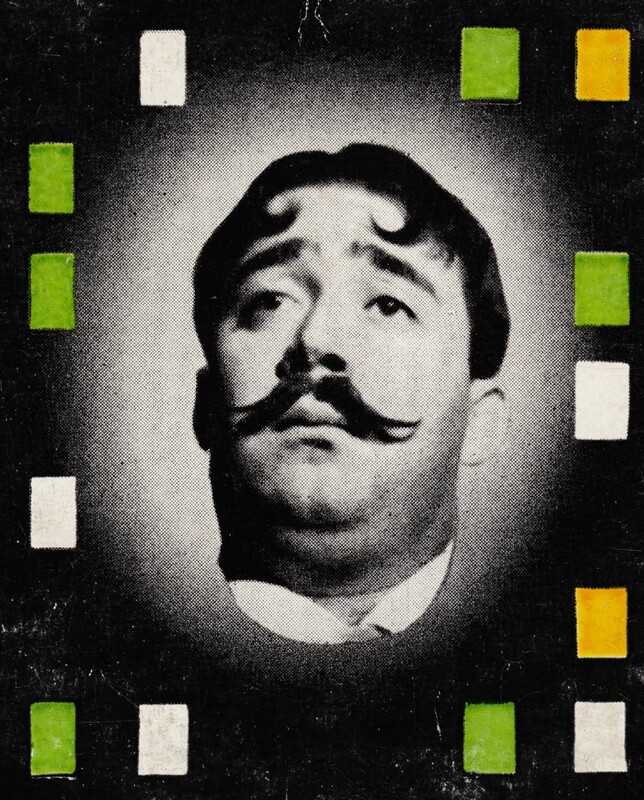 Drummer, band leader and actor François-Alexandre Galepides, alias Moustache (1929-1987), was a big name in French post-war jazz with quite a few releases in the 1950s. 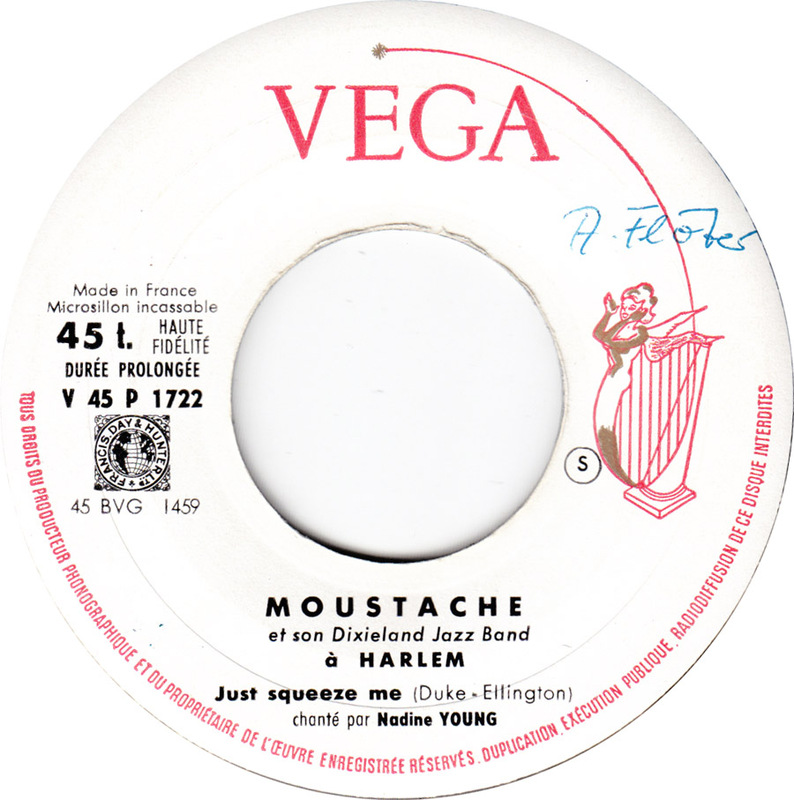 He started to play in Claude Luter´s band and later performed with Sidney Bechet and George Brassens. 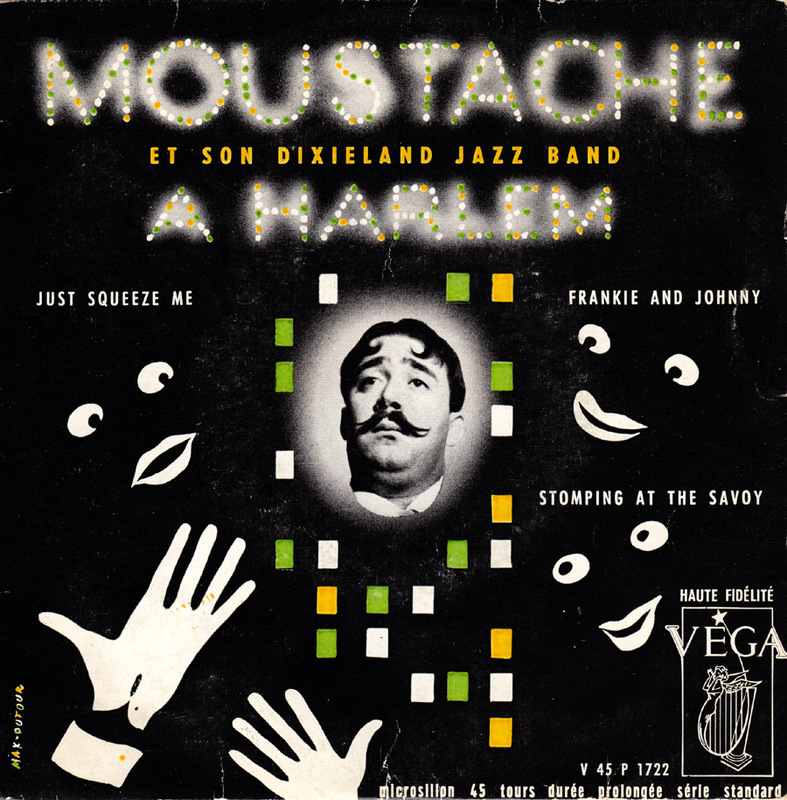 Moustache even recorded some funny early rock´n´roll sides like Le Croque-Crâne-Creux (Purpe People Eater) with French lyrics written by Boris Vian. From what I understand he also really enjoyed playing rock´n´roll, contrary to guys like Henri Salvador, Boris Vian and Michel Legrand. 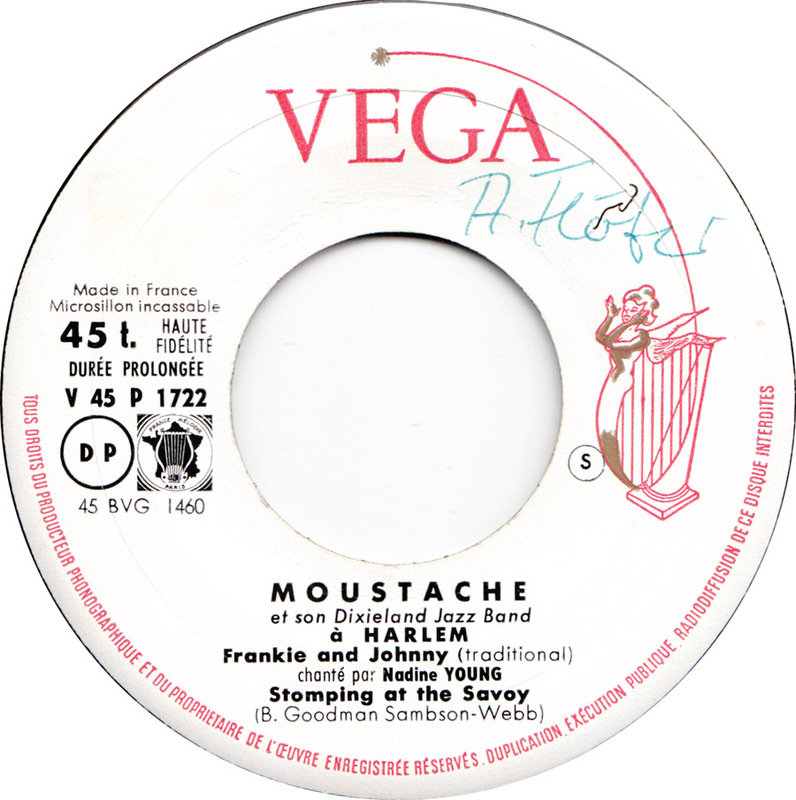 Henri Salvador recorded some excellent early French rock´n´roll, but still only regarded it as satire, a part of his job as a comedian. Decades later he hated it when rock´n´roll fans pestered him about his Rock´n´Roll Mops. Personally he preferred the swinging jazz music he grew up with. Moustache apparently was a much more down-to-earth kinda guy. 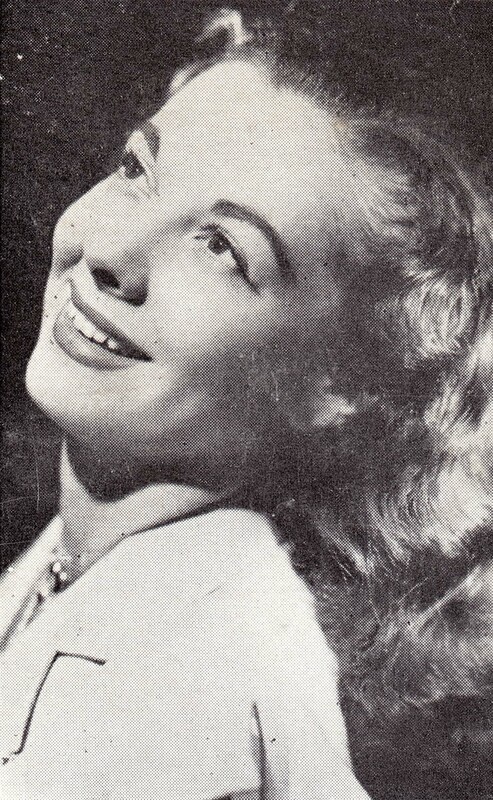 In the mid-50s he also ventured into acting and comedy, mostly playing musicians in films. Later he owned a restaurant and ran several bars. Moustache died in a car accident in 1987. Thanks for that share. 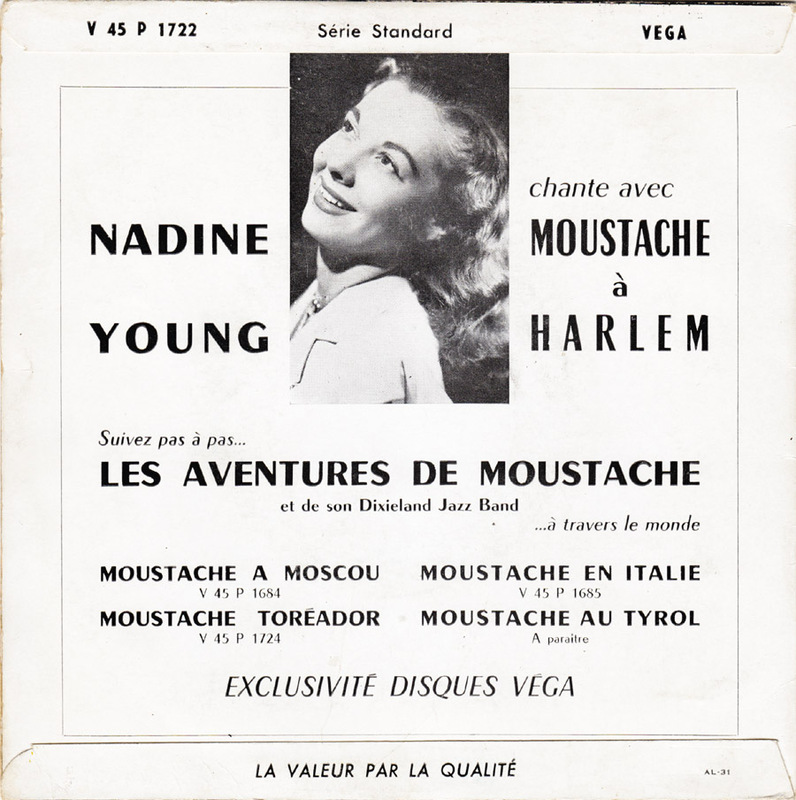 Very cool jazz… For a moment, I almost believed that Nadine was Chris Connor or June Christy.